Having the passion to cultivate creativity in children, but also the passion to integrate healing in the youth community, Belinda wanted to provide something more than just an art area. Her desire sparked an awareness: Harmony in our community begins in the hearts and homes of families through educating the children about compassion for others. Project Kids Kinship was born. The event of Project Kids Kinship created a safe space for kids to not only create art, but also provided an area for families to interact, children to connect, and offered educational resources that families could preview and use in their homes to teach compassion and acceptance. Through the support of various organization, key contributors, and awesome volunteers, Project Kids Kinship was a huge success. It takes several people coming together to make a community program a success, and Belinda recognized that the success of the program was due to everyone that was involved. Because of the success of the event, the awareness of the need for this type of program was recognized. 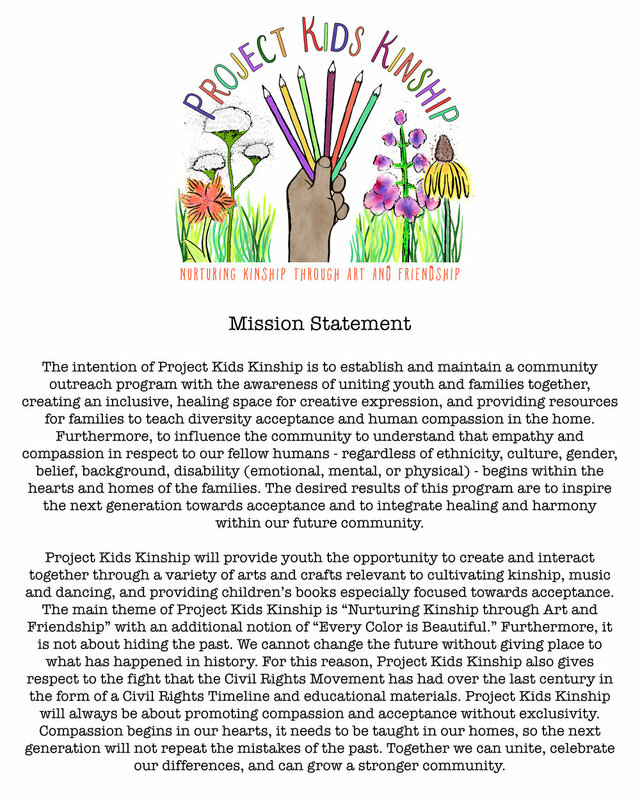 Thus Project Kids Kinship was developed and is continuing to be developed further to become its own, independent community outreach program, reaching the youth of the greater St. Louis Metro area. The future of Project Kids Kinship has many possibilities as it is essentially a “traveling” children’s education and art event. The hope is that local organizations and schools will continue to host or sponsor pop-up events at different locations providing a knowledge of the program’s intent. Eventually, larger events will be organized, as the whole nature of Project Kids Kinship centers around inclusiveness. 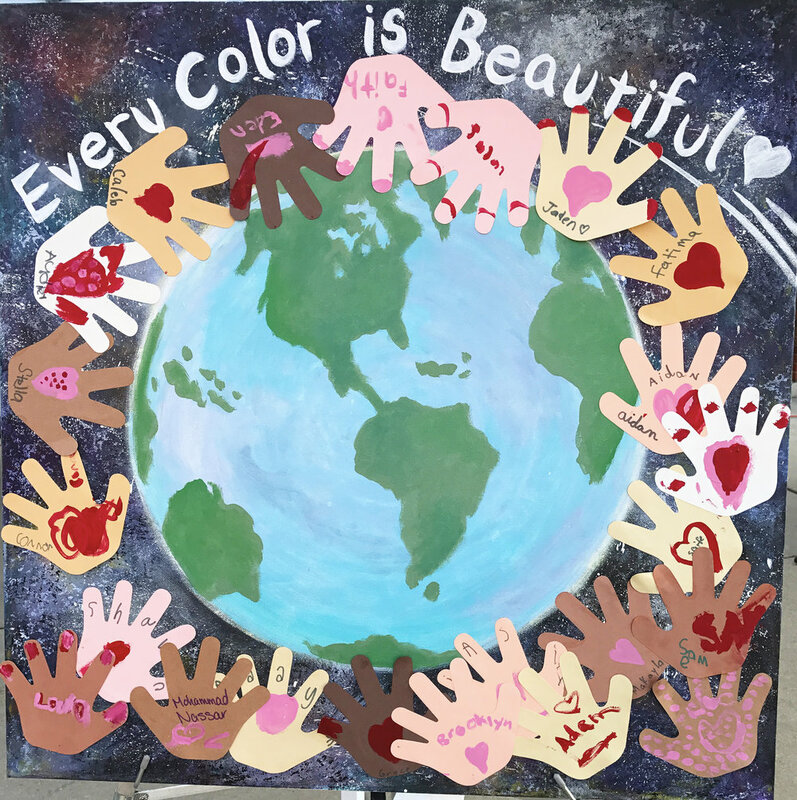 The purpose is ultimately that this program will inspire the community to come together and partake in the vital undertaking of encouraging our children towards acceptance and compassion, not only towards the people in their own circles, but also towards people of all cultures, ethnicities, disabilities, and beliefs. The educational resources that Project Kids Kinship features at events are for the sole purpose of allowing families to preview books that they can integrate into their family environment. Project Kids Kinship does not sell the books directly to the families, but continues to collect resources to provide families an awareness of educational materials that are available locally and online. 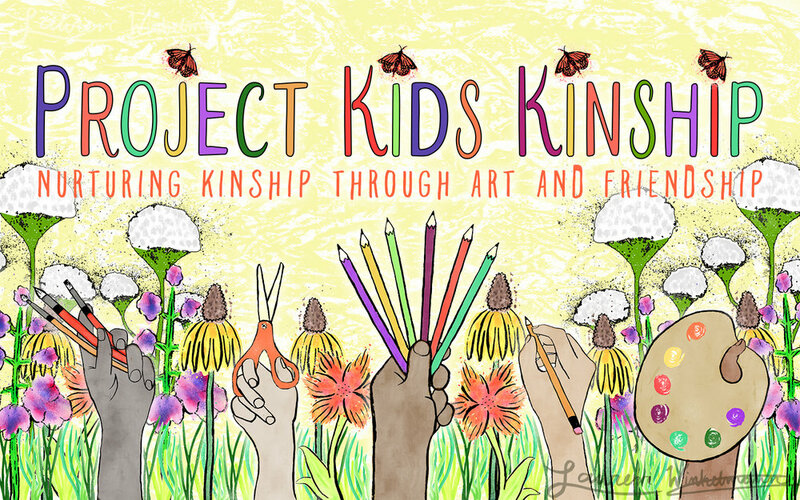 Original artwork for Project Kids Kinship was designed by Lauren Winkelmann and collaborated with Belinda Sigstad. *Quoted statements are credited to Ronald Montgomery; derived from the original intent statement of Black and White and Art All Over.